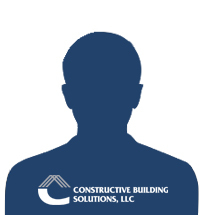 Constructive Building Solutions provides consulting services to clients on a national level. Our construction consulting combines years of experience diagnosing and solving construction problems. Our expertise comes from a wealth of knowledge gained during more than 50 years of constructing buildings. Constructive Building Solutions has provided consulting services throughout the continental United States on both large and small projects. Our construction consulting services range from diagnostic services to litigation support. We offer a range of services to both residential and commercial customers. Let us know how we can help.